See you on February 16 and 23 at the Rose House in Fontaine-de-Vaucluse: Appointment at 10:30 for a first contact and a quick presentation of the house where we will return later. Departure for truffles for a Black Diamond Hunting in the forest in wild truffle in the company of a truffle farmer and his truffle dog. 12:00 - Return to the center of the village of Fontaine de Vaucluse at La Maison de la Rose for a Brunch (truffle-foie gras-gold) in a private lounge. The tasting of this subtle product of exception will take place in the company of a perfumer, which makes it possible to have a very different approach from what it is done during other days proposing a discovery of the truffle. Our hostess meal time will make us enjoy her skills as a perfumer to discover the subtlety of the truffle. She is a peasant-perfumer, that is to say producer of roses and extracts of roses for perfumery and cosmetics. 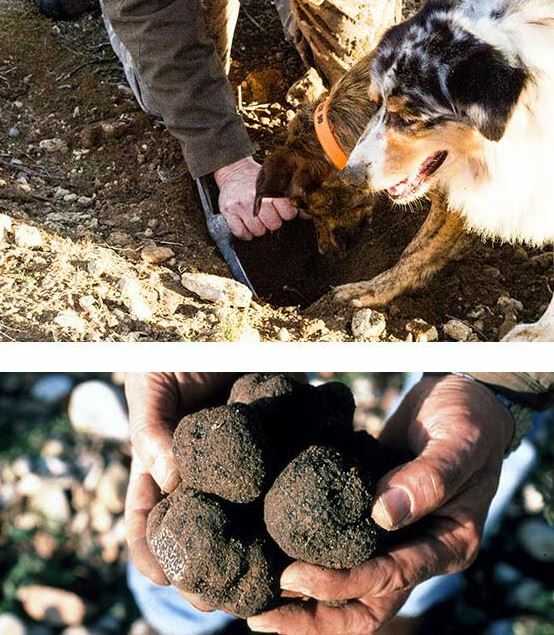 I propose a very different approach to the truffle, much like what is done for wine during an oenological tasting. Around 14:00 - We leave for a digestive walk in the village of Fontaine de Vaucluse to the source. It is the first source in Europe and the most studied in the world, where we can marvel at the forces of Nature. I will introduce you to the source and the karstic system, the Sorgue and its Natura 2000 classification, the poet François Petrarque, the wheels and the industrial history of the Comtat Venaissin, the remarkable trees and the dwarfed trees ... Around 16:00 - We will return to the House of the Rose to take a tea accompanied by a sweetness (a pink chocolate in black dress) which will surprise you I'm sure.